Olery captures online reviews for hotels, restaurants ans attractions published by real guests from all major travel sites. All reviews are being analyzed for various data points, from ratings to the sentiment of the written content. Ratings, details on other guests, common complaints, text summaries, nearby attractions and more – there is a lot of content for you to use and present to your users. You can make use of our ready-to-use widget or build your own interface. 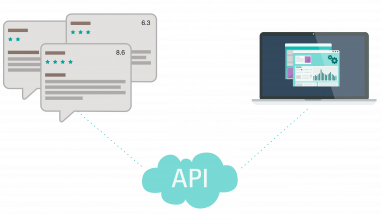 All data is provided by API. 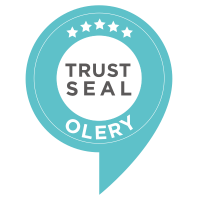 If you adhere to our standards in data recency and presentation you qualify to display the Olery Trust Seal on your site or apps. It provides reassurance to visitors regarding the trustworthiness of the content. Olery provides data on more than 350.000 hotels and accommodations worldwide. New properties are added on a daily basis. New reviews are captured every 12 hours to 10 days. 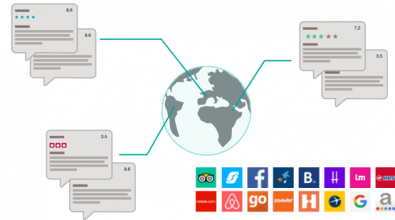 Users are expecting input from other travelers to help them make a buying decision. Provide highly relevant content and data with our widget or your own implementation. Your visitors are looking for guidance on which accommodation or attraction to choose? Help them with content from guest reviews. Use data-based content on your hotel websites to provide visitors with an independent view on the hotel and thus encourage direct bookings.